Lancaster counter-current mixing action is the most effective mixing technique for consistent uniformity, homogeneity and rapid mix time. All Lancaster Products Mixers utilize a counter-current mixing action where the pan rotates in a clockwise direction, while the mixing tools rotate counter-clockwise creating a shearing action within the mixing cavity that imparts a tremendous amount of focused energy into the mix. The powerful combination of multiple mixing tools including the rotating pan, high-speed mixing tool, and the counter-rotating plow effectively eliminate all dead zones in the mixer. The pan and the plow transport material through the mixing cavity into the path of the high-speed mixing tool ensuring that all particles pass through the high-speed mixing tool every few seconds. The plow and sidewall scraper prevent material build up on the pan bottom and sidewalls, effectively leaving no unswept surfaces where ingredients can lodge. 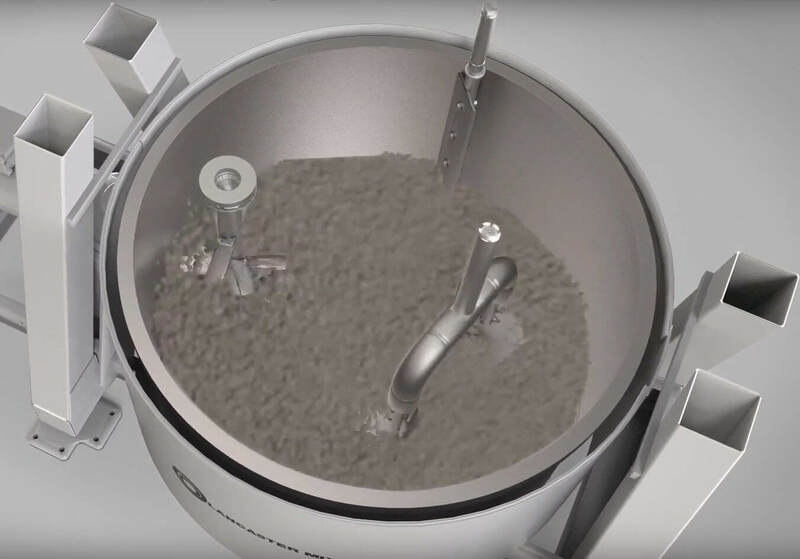 The Lancaster Products Mixer design allows for thorough mixing – without relying on the free fall or tumbling of material. Processing times are greatly reduced compared to most conventional mixers while providing a more homogeneous batch. In addition to a superior mixing action, Lancaster Mixers can also granulate or pelletize in a single process. 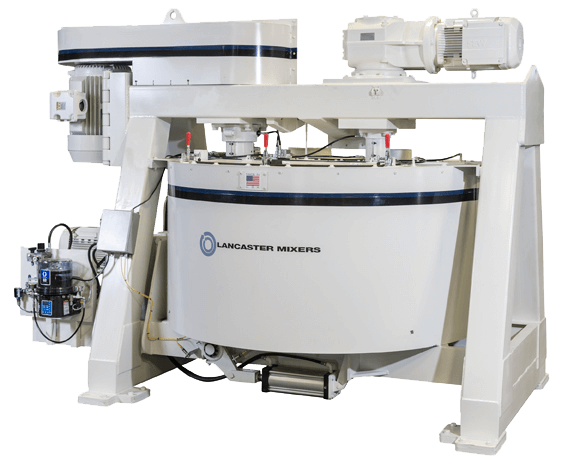 Because the tooling and pan all are independently controlled, at the proper speeds Lancaster’s Counter-Current mixing action can create a rolling action inside the mixing cavity that allows for granulation and pelletization of materials. The combination of homogeneous mixing and granulation provides for homogenous granules and pellets with the precise amount of ingredients throughout the batch – in one process in a single machine. Our counter-current mixing action is the most effective mixing technology for rapid and consistent homogeneity of a wide variety of materials. 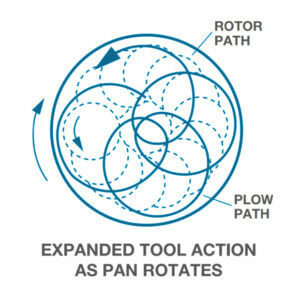 The rotating pan efficiently conveys material to secondary mixing plows and main high-speed mixing tool – all optimally placed to deliver maximum material mixing. Designed to generate increased relative particle velocities – providing countless material exchanges throughout each batch cycle. High-Intensive Mixers add versatility in meeting almost any material mixing challenge by individually adjustable component speeds. Lancaster Products counter current High Shear Mixers excel in homogenizing, agglomerating, granulating, pelletizing and densifying in a single machine with increased yields, uniform quality and better mixing productivity than traditional mixing technologies.